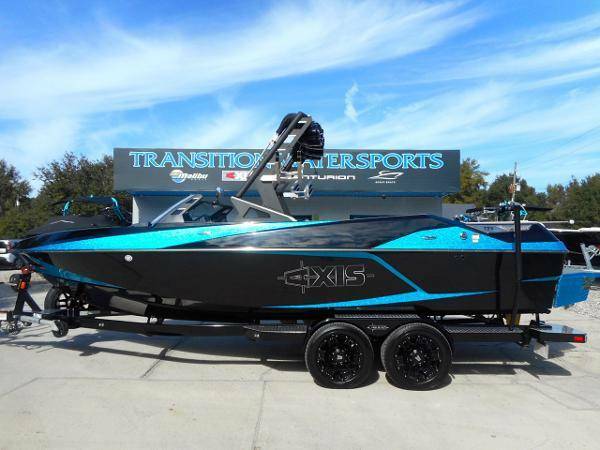 Options Include: Monsoon 410 6.0L Catanium Motor w/ Only 76 Hours, High Altitude Torque Prop, Transom Installed Engine Flush Kit, Surf Pipe Exhaust, Malibu Tandem Axle Trailer w/ 18" Black Wheels, Matching Spare Tire & Rim, Runway Lights, Retractable Transom Straps, Transom Step, CS Bimini Top & Boot w/ Rope & Surfboard Storage, CS Boat Cover w/ TAPS 2 & Swim Board Cover, Stereo w/ (4) Pair Rev 10 Tower Speakers, 12" Exile Audio Subwoofer, (2) Amplifiers, Rockford Fosgate Bluetooth Head Unit, (6) Exile Audio Interior Boat Speakers, Black Tower w/ Port & Starboard PTM Clamping Board Racks, Ballast System w/ Hi FLO & Auto Vent, Surf Gate w/ Surf Band, Wake Box 3 Tank Ballast System HI FLO, Power Wedge II, Rear PNP 850lb Sumo Bags, Chill-Ax Cockpit Flip Up Seats & Flip Up Driver’s Seat Bolster, Stainless Cup Holders, Depth Finder, PTM Mirror, Rear Slide Skybox Seating, Removable Carpet Insert, Gator Step Non-Skid Flooring for Bow, Cockpit, Front Deck, Rear Deck & Transom, Zero Off GPS Cruise & Compass, Dual Batteries w/ Isolator Switch, (2) Pair Pull Up Cleats, Docking Lights, Storage Lights, Underwater Lights, 2nd Gorilla Tracking Fin. The 2018 Axis T22 and T23 models underscore the brand’s renowned value by adding the Power Wedge II as an available option for the first time on all 2018 Axis boats as part of the Performance Surf Package™ (P.S.P. ), which also includes Surf Gate™ and Surf Band™. P.S.P. is a comprehensive system of wake and wave-making technologies that enables customers to adjust the size, length and shape of the wakeboard wake and surf wave for each rider with the touch of a button. Our first Axis with a traditional bow design, the T23 is anything but old school with room for up to 16 people. We use gorilla fins with 120 square inches of surface area; not only is the size important but the placement on our models maximizes tracking ability and handles quicker than others. CLICK THE LINK BELOW TO SEE MORE INFO AND PHOTOS ON THIS AXIS!